Augustin-Louis Cauchy – French mathematician, engineer, and physicist. A French mathematician who pioneered in analysis and the theory of substitution groups (groups whose elements are ordered sequences of a set of things), Augustin-Louis Cauchy was born on August 21, 1789, in Paris, France. 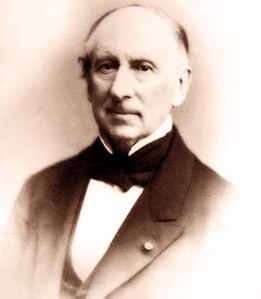 He was the son of Louis François Cauchy (1760-1848) and Marie-Madeleine Desestre. Augustin was one of the greatest of modern mathematicians. He was one of the first to state and rigorously prove theorems of calculus, rejecting the heuristic principle of the generality of an algebra of earlier authors. He almost singlehandedly founded complex analysis and the study of permutation groups in abstract algebra. For a brief period, Cauchy served as a military engineer for Napoleon’s English invasion fleet. He wrote many books that cover a wide area of mathematics and mathematical physics. He authored around eight hundred research articles. His paper on definite integrals acted as the basis of the theory of complex functions. Due to his praiseworthy contribution to wave propagation, which is an important part of hydrodynamics, he received the prestigious Grand Prix from the Institute of France. His theories on functions of complex variables have played a substantial part in subjects ranging from applied mathematics to aeronautics. His significant papers on error theory act as a valuable asset for the domain of science. Cauchy was the first mathematician who developed definitions and rules for mathematics. He introduced the definitions of the integral and rules for series convergence. As a person, he was a God-fearing, earnest Roman Catholic and a strict Bourbon royalist. He was actively involved with Institut Catholoque and Ecole Normale Ecclesiastique. A profound mathematician, Cauchy had a great influence over his contemporaries and successors; Hans Freudenthal stated: “More concepts and theorems have been named for Cauchy than for any other mathematician (in elasticity alone there are sixteen concepts and theorems named for Cauchy).” Cauchy was a prolific writer; he wrote approximately eight hundred research articles and five complete textbooks on a variety of topics in the fields of mathematics and mathematical physics. 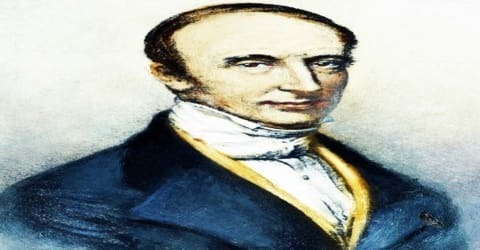 Augustin-Louis Cauchy, in full Augustin-Louis, Baron Cauchy French: (oɡystɛ̃ lwi koʃi), was born on 21st August 1789 in Paris, France, as the son of Louis Francois Cauchy, a senior French government officer, and Marie-Madeleine Desestre. He had two brothers: Alexandre Laurent Cauchy (1792-1857), who became a president of a division of the court of appeal in 1847 and a judge of the court of cassation in 1849, and Eugene François Cauchy (1802-1877), a publicist who also wrote several mathematical works. Cauchy enjoyed an excellent education; his father was his first teacher. During the Terror, the family escaped to the village of Arcueil, where they were neighbors of Laplace and Berthollet, the founders of the celebrated Société d’Arcueil. Thus, as a young boy, Augustin became acquainted with famous scientists. Lagrange is said to have forecast his scientific genius while warning his father against showing him a mathematical text before the age of seventeen. Cauchy took admission at the best secondary school of Paris, the École Centrale du Panthéon. There he won several prizes in Latin and Humanities. He chose to opt for engineering and cleared the entrance examination with the second rank. He finished his engineering course from Ecole Polytechnique in 1807. He then attended École des Ponts et Chaussées (School for Bridges and Roads) and completed his graduation in civil engineering. Augustin-Louis Cauchy married Aloise de Bure in 1818. She was a close relative of the publisher who published most of Cauchy’s works. They had two daughters, Marie Françoise Alicia (b. 1819) and Marie Mathilde (b. 1823). After finishing school in 1810, Augustin-Louis Cauchy accepted a job as a junior engineer in Cherbourg, where Napoleon intended to build a naval base. Here Augustin-Louis stayed for three years and was assigned the Ourcq Canal project and the Saint-Cloud Bridge project, and worked at the Harbor of Cherbourg. Although he had an extremely busy managerial job, he still found time to prepare three mathematical manuscripts, which he submitted to the Première Classe (First Class) of the Institut de France. Cauchy’s first two manuscripts (on polyhedra) were accepted; the third one (on directrices of conic sections) was rejected. His engineering job, however, did not hold his interest for long. Cauchy returned to Paris in 1812, in the hopes of obtaining a mathematical position. Even though he did not resign from his job, he spent the next three years on unpaid sick leave, working on mathematical research. The 1810s marked a turbulent period in France. In 1815, Napoleon was defeated at Waterloo, and Louis XVIII was installed as the new king. Under his reign, the Académie des Sciences was re-established in March 1816 and Cauchy was offered a position there. However, his acceptance of the job earned him many enemies. In November 1815, Louis Poinsot, who was an associate professor at the École Polytechnique, asked to be exempted from his teaching duties for health reasons. Cauchy was by then a rising mathematical star, who certainly merited a professorship. One of his great successes at that time was the proof of Fermat’s polygonal number theorem. However, the fact that Cauchy was known to be very loyal to the Bourbons, doubtless also helped him in becoming the successor of Poinsot. He finally quit his engineering job and received a one-year contract for teaching mathematics to second-year students of the École Polytechnique. In 1816, this Bonapartist, non-religious school was reorganized, and several liberal professors were fired; the reactionary Cauchy was promoted to full professor. At some time before 1830 Cauchy must also have been appointed to chairs at the Faculté des Sciences and at the Collège de France. His famous textbooks, which date from this period, display an exactness unheard of until then and contain his fundamental work in analysis, which has become a classic. These works have been translated several times. Over the ensuing years Cauchy published many important treatises including ‘Coursd’analyse de l’École Royale Polytechnique’ (1821), ‘Résumé des leçons sur le calcul infinitésimal’ (1823), and ‘Leçons sur les applications du Calcul infinitésimal à la géométrie’ (1826-28). In 1822 Cauchy laid the foundations of the mathematical theory of elasticity. The first phase of modern rigour in mathematics originated in his lectures and researches in analysis during the 1820s. He clarified the principles of calculus and put them on a satisfactory basis by developing them with the aid of limits and continuity, concepts now considered vital to analysis. To the same period belongs his development of the theory of functions of a complex variable (a variable involving a multiple of the square root of minus one), today indispensable in applied mathematics from physics to aeronautics. In July 1830, the July Revolution occurred in France. Charles X fled the country and was succeeded by the non-Bourbon king Louis-Philippe (of the House of Orléans). Riots, in which uniformed students of the École Polytechnique took an active part, raged close to Cauchy’s home in Paris. In 1831 Cauchy went to the Italian city of Turin, and after some time there, he accepted an offer from the King of Sardinia (who ruled Turin and the surrounding Piedmont region) for a chair of theoretical physics, which was created especially for him. He taught in Turin during 1832-1833. In 1831, Cauchy was elected a foreign member of the Royal Swedish Academy of Sciences, and the following year a Foreign Honorary Member of the American Academy of Arts and Sciences. Leaving his family, Cauchy went first to Fribourg, where he lived with the Jesuits. They recommended him to the king of Sardinia, who offered him a chair at the University of Turin. Cauchy accepted. In 1833, however, he was called to Prague, where Charles X had settled, to assist in the education of the crown prince (later the Duke of Chambord). Cauchy accepted the offer with the aim of emulating Bossuet and Fénelon as princely educators. In due time it pleased the ex-king to make him a baron. In 1834 Mme. Cauchy joined her husband in Prague the biographer does not tell us for how long. During his civil engineering days, Cauchy once had been briefly in charge of repairing a few of the Parisian sewers, and he made the mistake of mentioning this to his pupil; with great malice, the young Duke went about saying Mister Cauchy started his career in the sewers of Paris. His role as tutor lasted until the Duke became eighteen years old, in September 1838. Cauchy returned to Paris and his position at the Academy of Sciences late in 1838. He could not regain his teaching positions, because he still refused to swear an oath of allegiance. Cauchy was elected to the Bureau des Longitudes in 1839. However, he refused to swear an oath of allegiance because of which the king refused to approve his election. Thus he could not become a formal member of the Bureau and nor could he receive any payment. He still performed his research on celestial mechanics and presented a dozen papers on this topic to the Academy in 1840. In the 1840s Cauchy also became involved with the École Normale Écclésiastique, a school in Paris run by Jesuits. Throughout the nineteenth century, the French educational system struggled over the separation of Church and State. After losing control of the public education system, the Catholic Church sought to establish its own branch of education and found in Cauchy a staunch and illustrious ally. He lent his prestige and knowledge to the École Normale Écclésiastique, a school in Paris run by Jesuits, for training teachers for their colleges. He also took part in the founding of the Institut Catholique. The purpose of this institute was to counter the effects of the absence of Catholic university education in France. These activities did not make Cauchy popular with his colleagues who, on the whole, supported the Enlightenment ideals of the French Revolution. When a chair of mathematics became vacant at the Collège de France in 1843, Cauchy applied for it but got just three out of 45 votes. When the February Revolution of 1848 established the Second Republic, one of the first measures of the government was the repeal of the act requiring the oath of allegiance. Cauchy resumed his chair at the Sorbonne (the only one that was vacant). He retained this chair even when Napoleon III reestablished the oath in 1852, for Napoleon generously exempted the republican Arago and the royalist Cauchy. In a paper published in 1855, two years before Cauchy’s death, he discussed some theorems, one of which is similar to the “Argument Principle” in many modern textbooks on complex analysis. In modern control theory textbooks, the Cauchy argument principle is quite frequently used to derive the Nyquist stability criterion, which can be used to predict the stability of negative feedback amplifier and negative feedback control systems. Thus Cauchy’s work has a strong impact on both pure mathematics and practical engineering. Augustin-Louis Cauchy’s name is one of the 72 names inscribed on the Eiffel Tower. Augustin-Louis Cauchy died of a bronchial condition at 4 a.m. on May 23, 1857, in Sceaux, France. 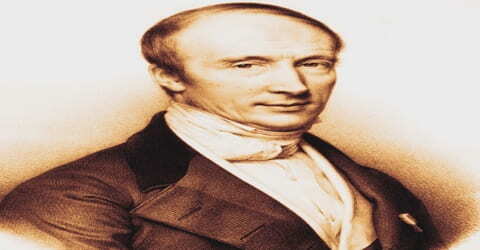 Augustin-Louis Cauchy is best known for single-handedly developing Complex analysis, traditionally known as the theory of functions of a complex variable. This branch of mathematical analysis investigates functions of complex numbers and is useful in many branches of mathematics, as well as physics. Cauchy made substantial contributions to the theory of numbers and wrote three important papers on error theory. His work in optics provided a mathematical basis for the workable but somewhat unsatisfactory theory of the properties of the ether, a hypothetical, omnipresent medium once thought to be the conductor of light. His collected works, Oeuvres complètes d’Augustin Cauchy (1882-1970), were published in 27 volumes.